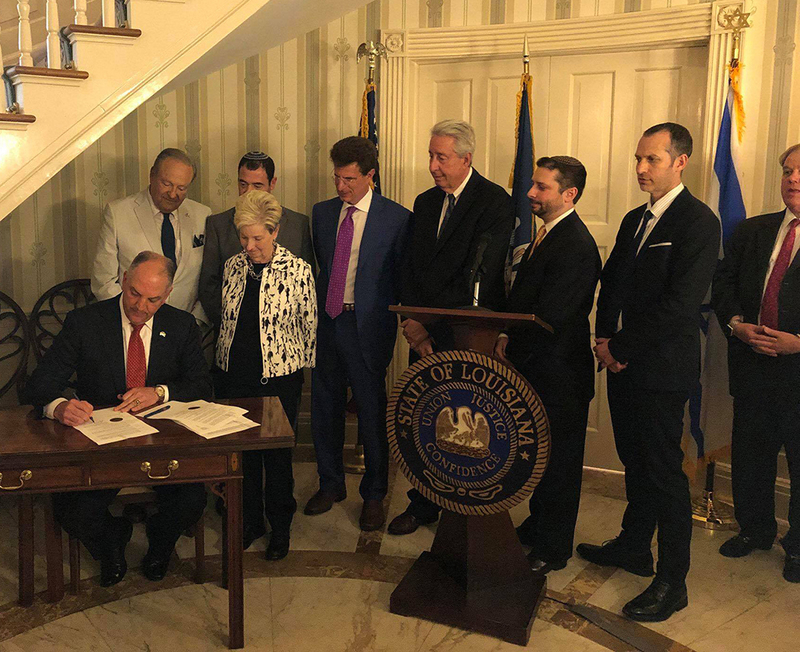 With the order, Louisiana becomes the 25th state to take an official stance against the Boycott, Divest and Sanction movement that seeks to isolate Israel. "It was truly a historic day for Louisiana and for the Jewish communities of this state," said Arnie Fielkow, CEO of the Jewish Federation of Greater New Orleans. "The Federation and the JCRC would like to thank the Governor, the Legislature, and all of the leaders whose tireless efforts over the years made the day possible." Fielkow added, "Our organization's support of Israel is intrinsically linked to our longstanding support for a peaceful resolution of the persistent conflict in the Middle East. We continue to hope for a solution that ultimately results in two states — Israel and Palestine — and other neighboring countries living side by side in harmony, prosperity, and security."